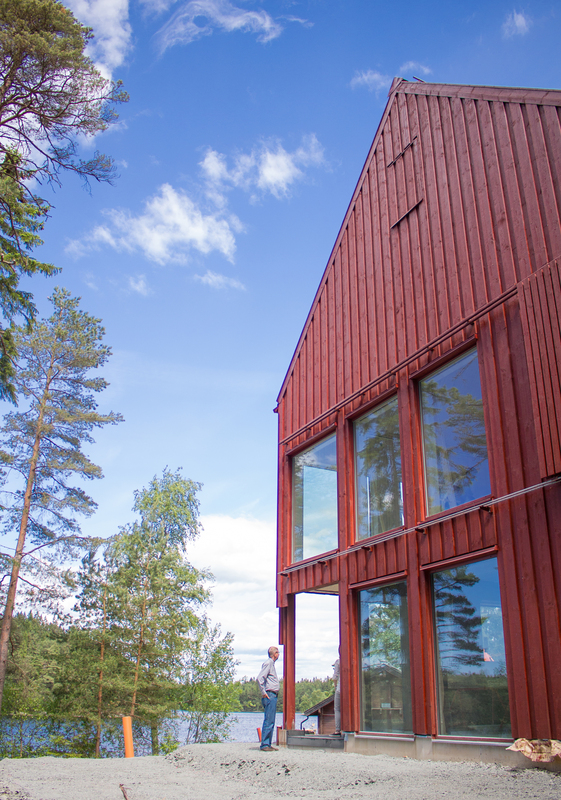 This is the largest of the cabins and facilities. Up to 120 seated banquet guests can enjoy dinner viewing the lake outside. 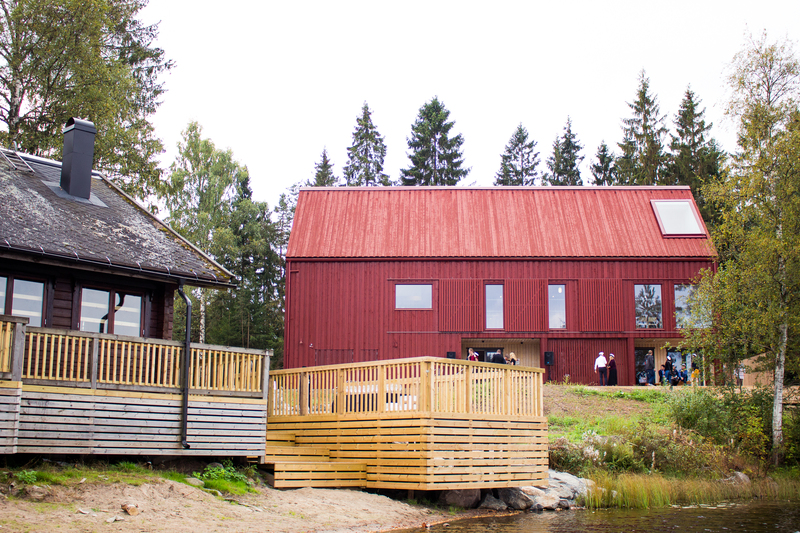 The journey towards the Grand Cabin and general renewal of the area started in 2012 and became possible due to generous donations from alumni, Chalmers University, companies, organizations and the union itself. The fund raising initiative started in 2014 in collaboration with alumni organization CS. The Grand Cabin is a banquet hall but also a cozy and intimate pub. A conference space and dinner hall. A place for both parties and hangouts, in smaller or larger companies. 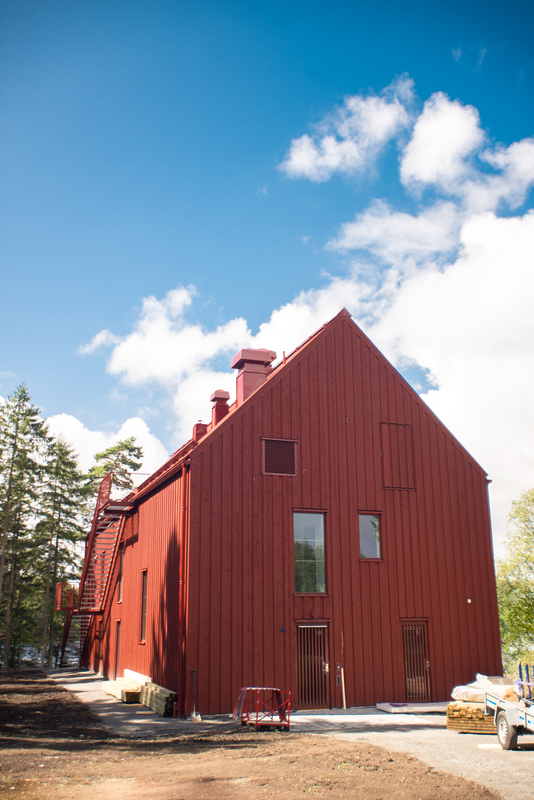 It is surrounded by tall spruces overlooking lake Sandsjön. 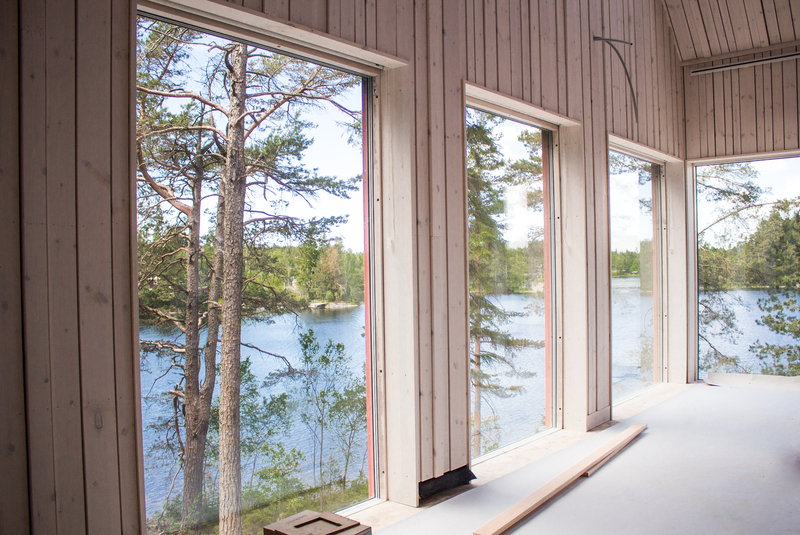 The first thing that meets the eye after entering is the splendid view overlooking the lake. You will ll find a concrete bar for a welcome drink and mingle. You can furnish it to your liking to accommodate both small and larger groups. On the first floor the banquet hall is located. 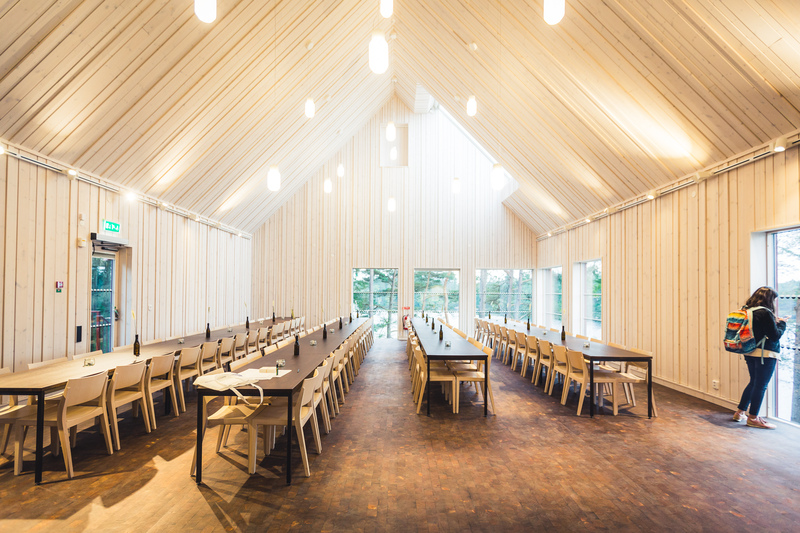 Up to 210 sitting guests can sit among the spruces and there is a fully equipped restaurant kitchen here was well. But the Grand Cabin is even more flexible. A smaller company kan both mingle and dine on the entrance floor. The banquet hall can be divided into smaller units to create the right atmosphere. The banquet hall can be used for both small and large conferences.